Whether it’s real-time mission overwatch or forensic pattern of life analysis, PIXIA’s® solutions provide timely access to relevant data anywhere. When time is of the essence, PIXIA’s® secure, collaborative platform provides emergency responders with the information they need to rapidly make decisions. Business continuity depends on efficient data sharing. Oil & gas companies need a common picture across field operations and HQ. PIXIA’s® intelligent tools provide the competitive edge to keep energy flowing efficiently. Find the exact data you need, precisely when you need it. Anywhere in the world. Your mission and business critical decisions require immediate access to the right data, at the right time, on the right device. PIXIA makes it possible. When disaster strikes, first responders need to act quickly to save lives. PIXIA provides the tools leaders need to make decisions quickly. Border authorities are responsible for monitoring thousands of square miles. PIXA technology gives leaders the ability to leverage data to keep borders secure. Safeguarding critical infrastructure is paramount to ensuring public safety and economic stability. PIXIA solutions rapidly deliver the information necessary to effectively identify and mitigate threats to vital facilities. Emergency responders need total situational awareness. Agencies equipped with PIXIA technology are prepared to act quickly and decisively to save lives. In today’s multi-platform and multi-sensor environments, data overload is a major challenge and a major opportunity. PIXIA provides smarter solutions to help users quickly make sense of massive quantities of large datasets. Real-time response by bringing together data from disparate sensors fast, to keep troops in harm’s way safe. Whether you need images in real time, images taken over a period of time and layered together, or video feeds, PIXIA has a solution that is critical to your mission. PIXIA solutions are optimal technical capabilities to support the special operator across the spectrum of special operations force missions. The reach-in technology and web-based data access are key to achieving small personnel and hardware footprints in forward locations. In addition, PIXIA solutions are accredited on the right computer networks and enable access to mission critical data from remote environments disconnected from the larger network. Efficiently managing massive volumes of seismic data is a critical business challenge for energy companies. Enabling technologists to collaborate remotely and securely is a reality with PIXIA’s, solutions. We provide the knowledge and confidence energy leaders need. For production managers, revenue depends on how effectively you’re able to map, plan and launch an expedition. 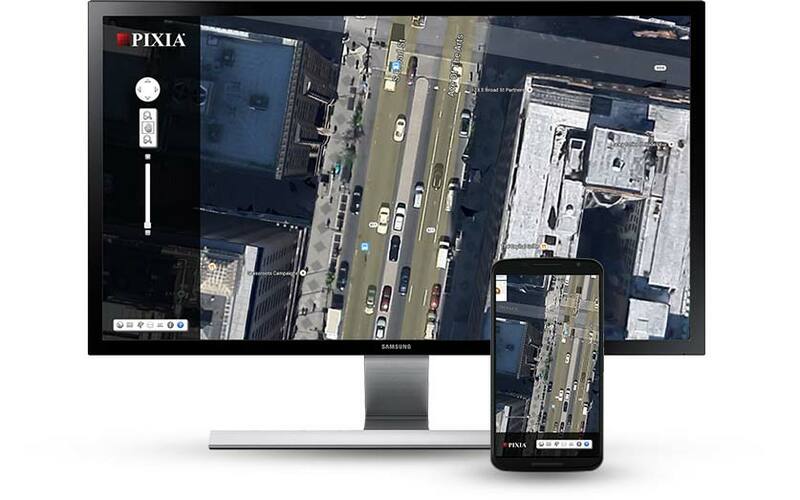 PIXIA technology turns GIS data into action. When production facilities are located in austere and challenging environments, security is the highest priority. PIXIA provides the ability to remotely monitor pipelines and infrastructure from anywhere on the globe. Our tools provide the insight to keep facilities secure. PIXIA supports underwater intelligence, surveillance and reconnaissance with integrated project management and engineered subsea solutions to the global offshore oil and gas industry. PIXIA products are built on open standards and engineered to adaptively operate across all types of networks, architectures and devices. PIXIA technology delivers the speed, performance and scalability necessary to power extremely large data sets in any environment. PIXIA has developed a proven track record of successfully delivering and deploying innovative data solutions to a wide variety of customers. With current multi-platform and multi-sensor environments, massive quantities of data are regularly stored across a variety of systems. Often, this essential data is trapped in a labyrinth of proprietary systems and data silos. Challenges such as location and bandwidth make accessing and examining the data for relevancy and use a time-consuming task, riddled with inefficiency.